Today, December 13, 2016, we read with interest an article on the proud accomplishment in innovative maternal health interventions to reduce mortality in Ethiopia (???!) by fellow countryman, public health researcher in Sweden Hagos Godefay Debab. We learned from his work, in 2013 maternal mortality in Tigray per 100,000 fell to 266. Does it mean that, in societies where tribalism is a politically-sanctioned virtue in such as TPLF-run Ethiopia, this human and societal anomaly really allowed to become the most effective instrument in the hands of the Tigray Liberation Front (TPLF) to subject non-Tigrean Ethiopians to a permanence of inequality? Do you know that, according to the World Health Organization (WHO), the maternal mortality ratio in Ethiopia during the same period is 420/100,000? More light is shed on this politically and ethnically-motivated anomaly by the fact that in Ethiopia only 16 percent of mothers give birth in hospitals, according to UNFPA. See also the UNFPA report for 2015. The corresponding figure for Tigray at that time was over 60 percent. This means that the number of Tigrean mothers benefitting from the care and services of health professionals is separated from the overall for Ethiopia’s by an astronomical variance! How long and why should this TPLF crime be allowed to destroy us as a nation? A Surrey doctor is urging the public to help save a baby’s life this Christmas for a new maternal health campaign. 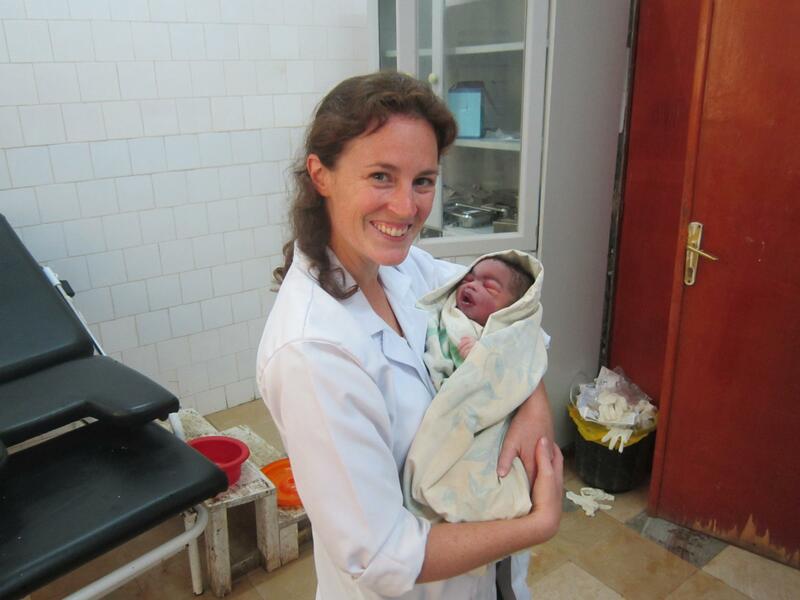 Dr Alexa Vardy, an Obsetetrician and Gynaecologist at St Helier Hospital in Sutton, delivered 100 babies in challenging conditions when she volunteered in Ethiopia. The ‘First Breath’ campaign, launched by international development charity Voluntary Service Overseas (VSO), aims to provide midwives to expectant mothers who have no access to care while giving birth. In Ethiopia, 84 per cent of the population live in rural areas which means their nearest hospital is hours away and many women have no choice but to give birth at home. With no skilled Midwife present and the absence of basic lifesaving equipment, any complications could quickly become life-threatening. Expectant mothers who are lucky to make it to hospital face other challenges like power cuts, water shortages, lack of equipment or drugs, poorly trained staff and no privacy. As in many developing countries, newborn death rates are high in Ethiopia. From 10 to 20 per cent of babies cannot breathe by themselves when they are born, but with the right care, almost all of them could be saved. Alexa spent one year volunteering at the Abi Adi Hospital in Tigray in Northern Ethiopia where neonatal mortality is particularly high. This one hospital serves around 400,000 people, with some patients walking 30 miles to receive treatment. During her placement, Alexa improved maternity services, introduced basic baby life-saving equipment and provided vital resuscitation training to Midwives.